My roots are deep in the South Side of Chicago--three generations to be exact. Stories about my late Grandmother and her days as a entrepreneur with several storefronts in the projects of a segregated Chicago are the staples in my family. My childhood is filled with fond memories playing in her backyard, naively unaware of the gang violence and crack epidemic plaguing the neighborhood around me and most urban areas in the U.S. in the 1990s. Like most African Americans from Chicago I have watched once thriving Black communities, built by the generations before, become a desolate war zone stricken with poverty--and hopelessness. 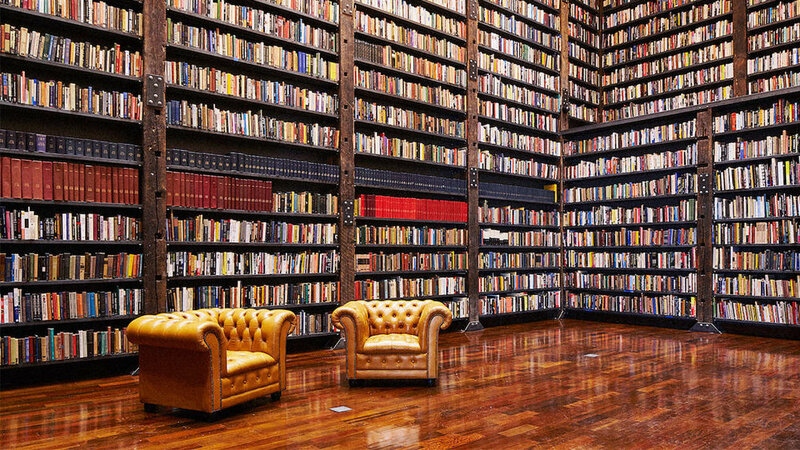 When I first heard of an artist space in the abandoned Stony Island Trust and Savings Bank housing decades of literary archives on Chicago’s South Side, I was determined to visit on my next trip back home. The next time I touched down in my hometown, I immediately visited the refurbished relic sitting in the heart of one of the city’s most dangerous areas. Walking up to the building on the notorious Stony Island Avenue on a sunny afternoon, two varied visions of the neighborhood were very present--the neglected, impoverished past and it’s hopeful, bright future. I would later learn the artist responsible for rehabbing the once vacant bank by name: Theaster Gates. As a Chicago native and roofer’s son, Gates often shares memories of following his father as he fixed roofs throughout Chicago as a child. That inspiration is clear as soon as you walk into the bank, starting with a minimalistic room filled with raw, wooden accents continuing throughout every nook of the structure. Wandering through the historical wonderland, there were echoes of its Prohibition- era life everywhere, from discarded cash registers to massive steel vaults. Every corner of the building felt like it’s own tiny puzzle piece of Black America’s complicated history, handcrafted with a master builder’s bare hands. Looking about it’s hard to imagine that for just $1, Gates purchased the 20,000-square-foot bank that once sat amongst a strip of thriving black businesses in the 1920s that now stands as a beacon of positivity in the area that needs it. Part cultural center, part art exhibit, part publishing archive, the building also holds a sense of accessibility even within its sprawling $4.5 million renovated interior. As part of the fundraising process Gates sold 100 ‘Art bonds’ for $5,000 each, using pieces of marble reclaimed from the bank’s urinals. “In Art We Trust” was a way to reinvest that money back into the Stony Island Arts Bank. 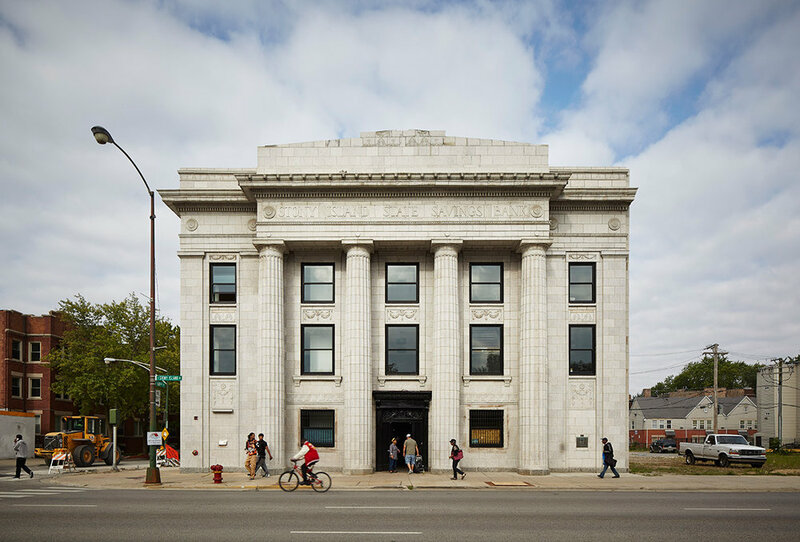 Opened in 2015 under its new moniker, the Stony Island Arts Bank stands as not just one thing, but as many things to a community in need, just as Gates intended. "This is a new kind of cultural amenity, a new kind of institution—a hybrid gallery, media archive and library, and community center. It is an institution of and for the South Side—a repository for African-American culture and history, a laboratory for the next generation of Black artists and culture-interested people; a platform to showcase future leaders—be they painters, educators, scholars, or curators” - Gates in a press release. The Stony Island Arts Bank is also home of Gates’ non-profit, the Rebuild Foundation, which is focused on bringing art to underserved communities. While there I stumbled upon a Rebuild Foundation event for the evening, a 2008 documentary screening by then unknown director Ava DuVernay. One of the many unexpected findings on my visit. Just next door, I’d find perhaps the most majestic part of the community space: a brightly lit room with nearly 15,000 books and magazines from Ebony and Jet magazine publisher, John H. Johnson covering every wall. I finished my adventure by nightfall feeling like there was so much more I needed to discover about a neighborhood now in the midst of gentrification. It’s evident the new currency circulating in this bank is African-American culture, a currency more valuable than ever. As I walked out, I noticed flowers lining the building (the only ones on the block), clearly a sign of more to come. Located on Chicago’s South Side, a row of 32 townhouses serve as affordable live-work spaces and free arts programs. Another project by the Rebuild Foundation serves as a community event space hosting film screenings and discussions focused on the African-American experience. The one-man exhibition is currently on display at the National Gallery of Art in Washington D.C. , which showcases Gates’ revitalization artwork from Chicago. Lenora Houseworth-Weston is a multi-passionate writer and social media strategist in New York City. She can be found on social media talking pop culture and avocados at @LenoraSheWrote. Jun 10 The N-Word Conversation. What exists in the space between the 'er' and the 'a'? 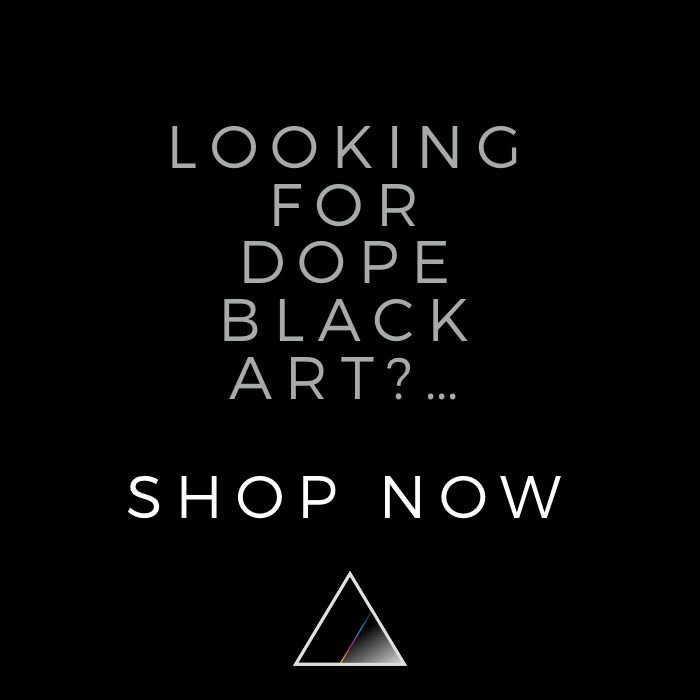 Jun 2 Three Black Artists Featured in Cadillac's Art of Daring. Do You Know Them?